A1:All Paper should be the Original one and it should not be published in any manner before and after the conference. A2: All Authors and Co-authors must inform their respective Dept. 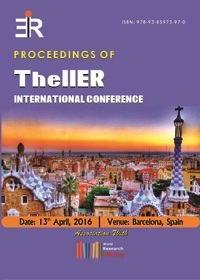 Head/Principal/Guide about the paper submission of papers into IIER International Conferences/Meetings. A3: All Authors and Co-authors should write the correct affiliation inside the paper. A4: The Organizing Committee may not accept the papers submitted after the last date of registration. 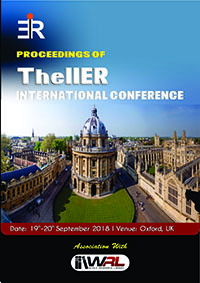 A5: IIER accepts each paper for the conference after doing the review by Internal/External IIER Reviewers. A6: IIER can’t add, modify or delete any author’s or co-author’s name inside the paper after the registration of the paper without the permission from all authors and co-authors present inside the paper. A7: IIER never publishes any unregistered or withdrawn papers. A8: IIER is not responsible for identifying the Original author or co-author of the paper. The person who submits the paper will be taken as the original author of the paper. A9: In any case, if IIER receives the complaint about the originality of the author and it found to be true (all rights reserved by IIER management to take a decision) the paper will be suspended and removed from the publication immediately. A10: IIER can’t republish or distribute any suspended paper from the date of suspension. A11: No Author or Co-author is allowed to withdraw the paper from the publication and event after the last date of Registration and in such case, no monetary refund will occur. B1- All participants must register before coming to the conference by paying the specified amount mentioned at the registration menu having a valid Regd. Or Paper ID of that Conference. 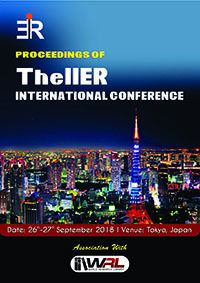 B2: All IIER Conferences or events are also called as IIER Member's Meetings which are complete Private meetings where no Outsiders will be allowed (without pre-registration) to attain or present any paper inside the event. B3: All participants should follow the official Conference page only regularly for getting the latest information about the event. 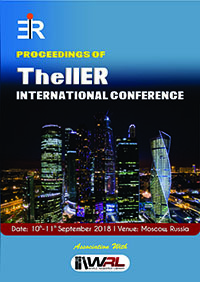 B 4- IIER may change the date of the Conference at any time before the conference due to less number of registration/medical issues of organizing a team or person/issue of visa/flight reschedule/natural cause or any unavoidable reason. If the organizing Committee decides to change the Date of Event, all delegates will get the information via email before the event. 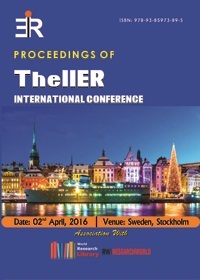 IIER may also change the Venue(hotel mentioned as the venue of the conference) before the date of the conference. In such case, the new venue will be informed to the registered participants only in email/Programme Schedule and also in the Official website of the conference. B6: In any emergency case( Organizing Team could not reach the venue on time) due to flight/transportation cancel/ delay, the bad weather around the venue, insufficient security near the venue, Medical emergency of Organizing Team the presentation may be canceled or rescheduled. In such case the Organizing team will inform to participants via email or information will be displayed at the official conference website before the conference starts. B7: IIER is not responsible any kind of financial loss due to any ticket cancellation or any bookings of the registered participants if the conference gets cancel or re-scheduled to other place or date at any time. No refund will be done. B9: The participants should bring their original ID card while attending the Conference otherwise will not be allowed to attend the conference. 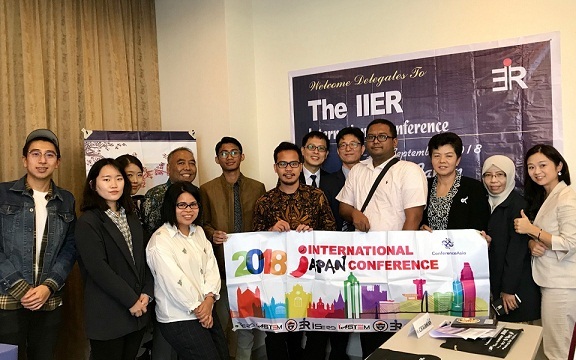 B10: Due to a shortage of Conference KIT, IIER may not give you the participant KIT at the time of Conference, in such cases, IIER will provide you the Conference KIT via Speed Post after the Conference. B11: Any participant reaching after the reporting time at the venue may not be allowed and considered for the presentation and participation at the conference. 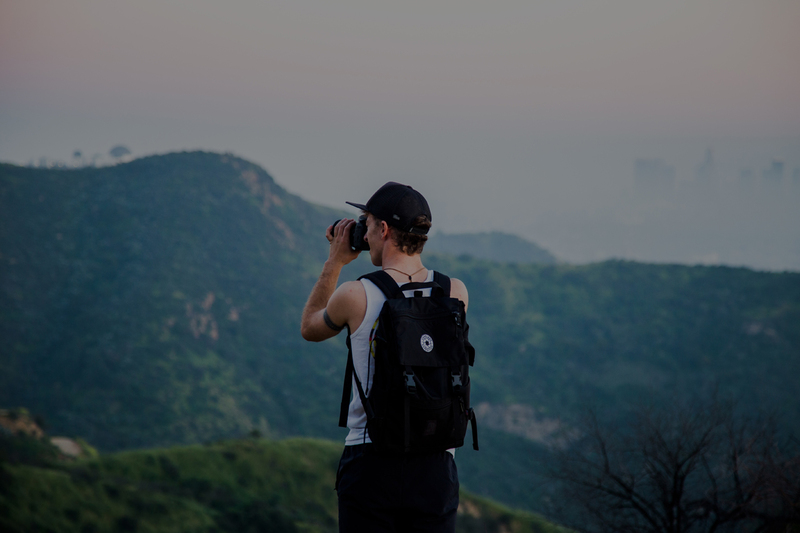 B12: The participant should not involve any kind of violence or illegal activity in any country during his/her period of conference visa at any county. B13: The participants should not involve any kind of violence inside and outside of the venue at any time before and after the event. B14: IIER does not responsible for visa processing of any participant however it may issue an open Invitation letter for a visa (for conference/meeting only) after the registration confirmation only. IIER is not responsible for Financial and any kind of loss due to it due to visa cancel. B15. 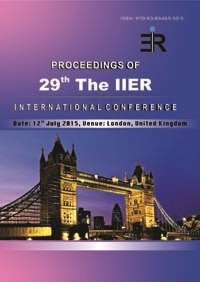 Payment Confirmation mail for the Payment gateway or the Bank deposit Receipt must be sent to the info@theiier.org for the registration confirmation. IIER will confirm the registration with out the mail reached to the official mail only. B16: The payment confirmation mail is not the event confirmation information. All registered participants must take the “Final Conference Schedule mail and event pass” form the coordinator before start moving to attain the conference. The Final Conference Schedule mail will be sent to all registered participants in their registered email only after the last date of Registration. 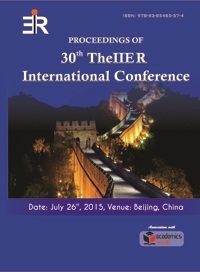 C1: IIER has all the rights to select the papers from the conference to publish in the international Journals. 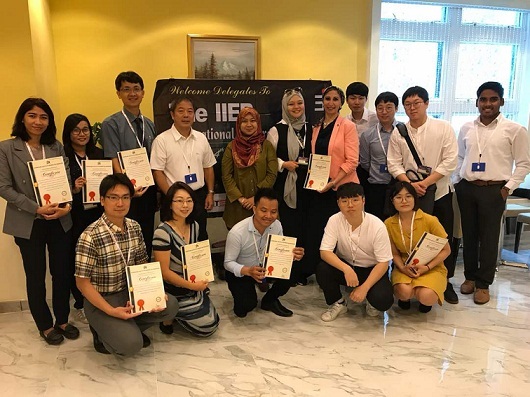 C2: IIER selects the paper from the conferences for publishing in the International Journal after extending the paper at least 20% from the authors. C3: IIER takes minimum 25 to 90 Days after the Conference to send the email notification and publish the papers in the Journals. In some cases, it may increase to 6 to 18 months due to a large number of papers in queue or delay in the international review process. C4: Publication in Scopus Indexed/SCI Indexed or any associated Journal: IIER can submit the paper to any non-IIER International Journals indexed in Scopus or SCI on the written request by the author. In such case, the author will have to bear the entire publication cost(according to the particular journal). It may take 3 to 12 months for the review and publication process. C5: Payment made for the purpose of attending the any IIER Conferences will not be refunded if the registered paper is not selected for any Scopus or SCI Indexed journal or if the author doesn’t want to publish in any IIER associated International Journal after the conference. D1: All research papers submitted for publication are checked with plagiarism detection software to verify its originality and find similarity percent of the research paper. And the papers failing to satisfy mentioned criteria are sent back to the author for modification. D2: If plagiarism is detected in research paper just before publication, the author will be given a chance to resubmit the paper after necessary modification as suggested by the editor. However, if the editor decides plagiarism is a major issue in the research paper, it will not be considered further for publication. D3: If plagiarism/fake identity is suspected or detected in research paper after its publication, the research paper will be removed from the website until completion of verification. In case few paragraphs are plagiarized the author will be given a chance to modify the published paper and the research paper will be restored in the website after editor’s approval. 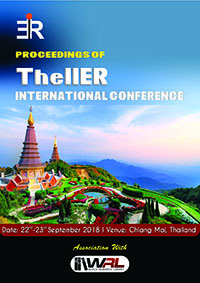 D4: However, if IIER decides plagiarism/fake identity is a major issue in a published paper and it seriously violates the copyright of others then the paper will remain removed from publication and author will be penalized and will be Blacklisted from IIER and other Conference Organizers for a lifetime. Also, it will be mentioned in journal website about the removal from publication as well as indexing services will be notified about the removal. D5: Authors republishing their earlier published work (self-plagiarism) will also be dealing with the same procedure as mentioned above. You must agree to all above Terms and Conditions before sending your paper for the conference and confirm your registration. 1- IIER is part of "PET" which is a registered as a nonprofit trust. 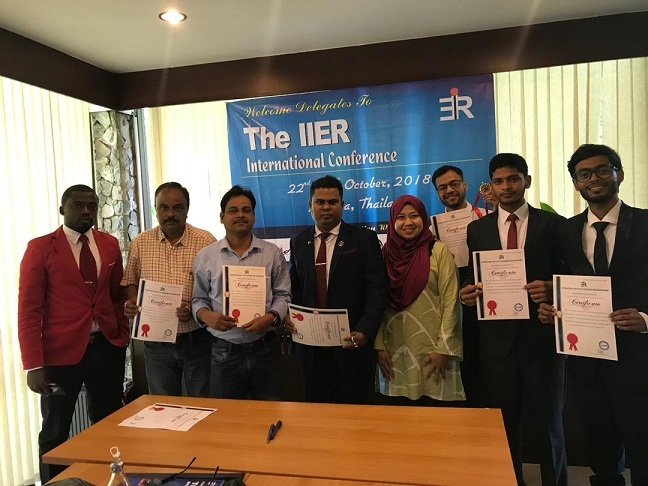 2- IIER is an Independent non-profit body whose aim to promote the Scientific and research activities (related to Science, Engineering, Technology, Management, Social science)only in the world. 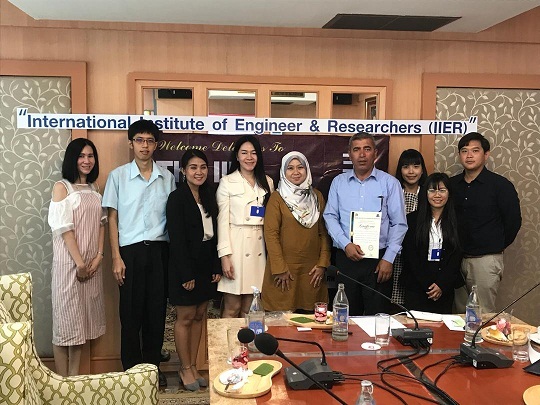 3- IIER is not affiliated with any university. 4- The Advisory Board members/Reviewers are not the Employees of IIER and associated voluntarily. 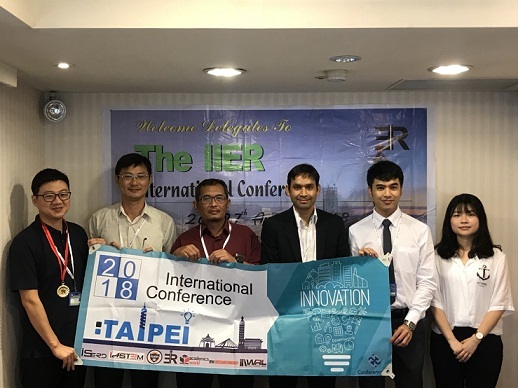 5- IIER has all the rights to cancel the Registration at any time and withdraw the Publication if any participants/Delegates violates the rules and regulations of IIER and will take all necessary legal action immediately. 6- IIER has all the rights reserved to withdraw/modify the paper from conference proceedings or journals at any time without any information. 7- IIER is not responsible for any violation of rules by the conference attendees at any country In such case, he/she can proceed for the legal action according to the law of the country.